2001. 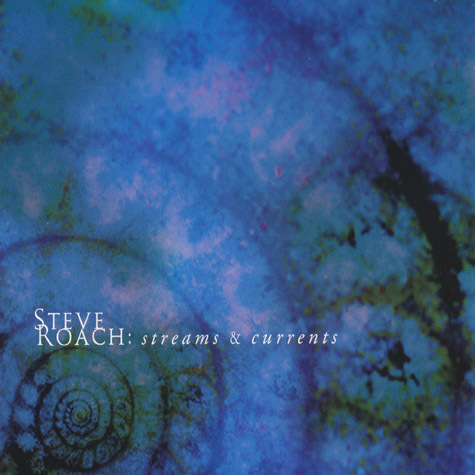 Steve Roach's latest release on Projekt is a sort of follow-up to MIDNIGHT MOON, in the sense that it uses primarily processed guitars as a sound source. To these ears, though, STREAMS AND CURRENTS is a more evolved and sonically varied recording that MIDNIGHT MOON, and is likely to be more pleasing to those who enjoy the multi-layered and complex sound of Roach's space music.